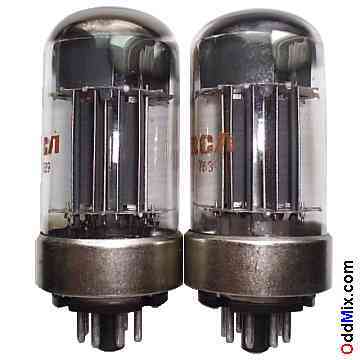 These are genuine, sturdy, ruggedized, glass-octal, heater-cathode type RCA 6080 Low-Mu Twin Power Triode electron tubes. Substitute: ECC230. Developed for use as AF and RF power amplifier, oscillator and series regulator tube in power supplies. Useful for SW amateur radio and ham radio projects, QRP transmitterguitar amplifier or to set up a private vacuum tube museum. Only one matched pair available!